The first word that comes to mind when listening to the debut album by the one man machine Lights & Motion is "epic". Of course this is a very derivative word within the post-rock scene especially when you have bands like Godspeed You! Black Emperor and Explosions In The Sky making albums that fit the tag, but somehow the lone contributor Christoffer Franzén makes a very compelling argument for the most cinematic and effective record I've heard in quite some time. 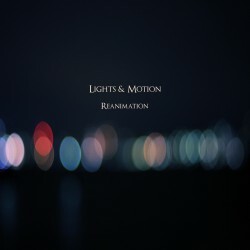 Every component that a post-rock record needs to be successful is present on Reanimation and Franzén justifies a spot on the short list of great cinematic songwriters. From the flawless guitar structures to the beautiful piano melodies, this album is just perfectly crisp. The attention to detail really reminds me of Explosions In The Sky when they were in their prime early in their career. This ends up being my one minor gripe with this album as Franzén wears his influences out a little bit. At times, it's hard to truly separate him from some of those post-rock gems of the late '90s/early 2000s and Franzén doesn't really stand out with his own style. He's obviously a terrific composer so hopefully we'll see him grow from this record and gain his own unique identity for the future. Although this album sometimes feels more like a homage to the genre as a whole then a record with brand new ideas, it's still an incredibly effortless listen as Franzén proves he has the ability to make a beautiful product. Foxygen is the duo formed by childhood friends Sam France and Jonathan Rado. The pair has been releasing EPs since their formation in 2005 but have recently began recording full length records, their first being released unofficially in 2011. We Are The 21st Century Ambassadors Of Peace & Magic is the sophomore attempt by the '60s-inspired psychedelic band and the results are tremendous. The music is all formed around pure rock n' roll guitar riffs with some subtle psychedelic effects to make things more twangy. When singer/songwriter Sam France starts belching out his lyrics, you feel like you've been put into a time machine. As a vocalist, France shares much in common with singers like Mick Jagger or even David Bowie. The music that revolves around the vocals in turn sounds like B-sides from a Velvet Underground session back in the 1960s. The pop elements bring in a lighter, more fun side that makes things incredibly contagious as a whole and I'm sure the addition of Richard Swift as producer really blossomed these ideas. 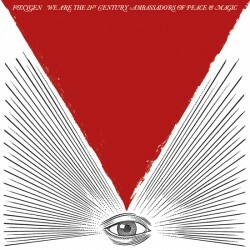 This album really embarked upon trying to revive an entire generation of rock music and although Foxygen may not qualify as competition for The Rolling Stones or The Velvet Underground, it seems like the band is happy to establish these ideas with a new society. Instead of creating something brand new, Foxygen instead lures in every one of their influences to smoke weed and enjoy the bright sunshine of the afternoon. It just works. For those of you unfortunate souls who have never heard Mountains before, they are a duo comprised of high school buddies Brendon Anderegg and Koen Holtkamp. Throughout their 8 year music escapade, Mountains has released an array of fantastic albums and to be able to continue this consistency in the ambient/drone genre is just unheard of. For the most part, artists who dig around in drone music come and go at light speed and the greatness never shadows them for long. 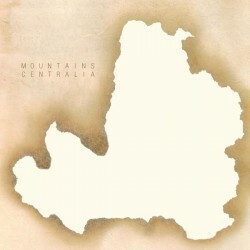 It's a difficult genre to truly stand apart from others in but Mountains has always been a stand alone project with very unique ideas put in place. Centralia is the name of their newest album, a possible ode to the ghost town Centralia, Pennsylvania. The town's population has gone from 1000 residents in 1981 to just 10 in 2010 as a burning mine fire underground left the area too unsafe to inhabit. This central idea of being forsaken and desolate is what seems to drive the influences musically on this album. Acoustic guitars ring out beautiful notes while electronic droning is kept to the minimum this time around. The portrait painted by these long structures shows this eerie beauty due to the deep keyboard arrangements. Each song is this tremendous shade of atmospheric darkness and lonesomeness that is captured ever so brilliantly by the duo. Songs flow out so naturally as normal for Mountains and the emotional solitude that is put in place really pushes the band to an all new high. 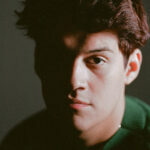 Whenever an ambient artist can capture one, single despondency, it's quite captivating. 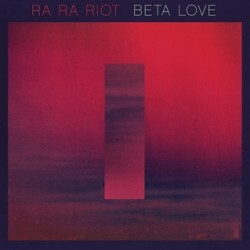 Ra Ra Riot have done nothing but devolve their overall sound since their debut record in 2008. On that album, the band used a more complex sound which, although it was mainly synth pop, employed string instruments to inspire that sound even more so. 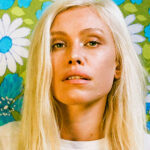 Early last year though, cellist Alexandra Lawn announced that she would be leaving the band. This was a major announcement and although it made sense since the band seemed to be going into a more electronic based element, it still took away a huge part of their identity that made them so successful with The Rhumb Line. Fast forward past their underwhelming sophomore record, we now have their third undertaking, Beta Love. Upon hearing the record a first and second time, it ended up being exactly what was expected after losing the strongest part of their string section. The album is a pretty typical synth pop record in the vein of something like Hot Chip where electronics have almost totally taken over. The songs are decently catchy most of the time and each song is very dance friendly but everything seems so safe and uninteresting. The pop style is very overbearing and plain as if created in a laboratory for 10 year old children singing anthemic bop songs. Without the use of more instrumentation, Ra Ra Riot has almost totally lost themselves in this electronic pop era and the results are totally negative. 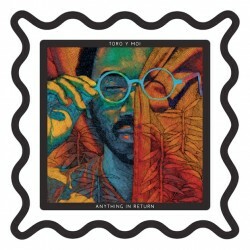 As chillwave continues to fade out from the spotlight since its ingenious rise to stardom a few years ago, Toro Y Moi also continues to feel the pressure. Once at the top of the indie electronic universe, Chazwick Bundick has simply dissipated ever so subtly from the once overwhelming spotlight. His sophomore album was a major step back after the promising debut and all expectations, although they have stayed consistent, have lowered down a notch in my eyes. Anything In Return is the title of Bundick's newest release and it's evident that almost nothing has really changed. In fact, his music has grown even less satisfying for me as he has left a lot of that downtempo structure behind for more synth styled approaches. What I will make clear is that this album is a much more dynamic and flat out better attempt then what we saw on Underneath The Pine but at the end of the day, this is nothing that Bundick hasn't already done. The synthesizers still sound like they were ripped right out of an '80s pop vinyl collection and remastered with more bass while the vocals leave lots to be longed for. I do enjoy some of the edgy dance rhythms on this album but for an artist to have started at the top and ended here leaves me scratching my head. Kobol is a two piece nu jazz/post-rock group from Mexico comprised of Ignacio Chavez on guitar, bass and electronics and Argel Medina Cota on drums and percussion. The band has just released their third full length record entitled Centipede, a record that is incredibly organic instrumentally yet still complex in the manipulation of sounds. 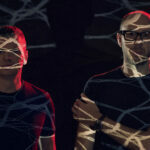 Their overall theme of sound mainly lies within the post-rock genre as guitars and drums are implemented to bring in a real powerful wall of music. Jazz instrumentation completes the sound and brings the rough work to a more glimmering lifestyle. Musically, Kobol is quite spectacular both on strings and percussion. Song for song, this album really plays out nicely with plenty of Mexican flavors that intermix with that New Orleans jazz style. With both influences driving the record home, we are left with a really beautiful crafting of songs. 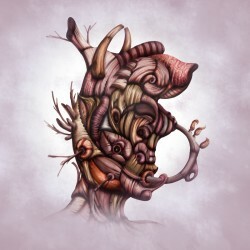 Like most post-rock albums, Centipede does show signs of fatigue, especially towards to the end but luckily, the jazz structures sort of revive each song before the track is even finished. Kobol is a very interesting band with a lot of tricks up their sleeves so make sure you keep an eye out for them. When a band titles their first official release of material and calls the record Greatest sHits, you know you have just found a decently interesting group of people. The Growlers are an assortment of different musicians who have combined together to bring us a very free spirited style of psychedelic folk music. 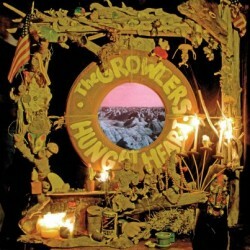 Whether you want to call it '60s styled song crafting or just circus music, The Growlers have a unique way of captivating us as listeners. Hung At Heart is the title of their latest release and these influences continue to run the show here. Each song has a lo-fi, garage rock quality to it and the psychedelic guitar progressions are what really drive each track. Brooks Nielson, chief singer and songwriter, is who seems to be the driving force of the band as he sings out his muffled vocals to bring us a twisted pleasure. This music is definitely not for everyone but this odd style of psych music is really starting to make its way back into the modern rock headlights. Even though the band is obviously trying to manipulate that '60s style of pop fusion, they are able to make it their own 50 years later. Any band that states there is a possibility for "bologna to turn into steak" is obviously an intriguing character and in the end, that's what I come away with. Not sure if that's a good thing or a bad thing but the band sure knows how to have a good time. Lights & Motion is awesome! Thanks for bringing it to my attention, bought it from bandcamp. im glad you supported Lights & Motion! Nice to hear that and I will make sure to get a review for Matt Pond done for you – thanks for the request!